Our therapists deliver high quality, evidence-based, one-on-one treatment programs to clients with a variety of conditions. We are unique because we contribute to clinical research initiatives, are actively involved in the community and are innovators and leaders in our field. We think outside the box by using the latest in technology and research developments to better your care. During your session, your therapist will be fully focused on you and your needs. Our goals are to support you in understanding your diagnosis and treatment program by carefully guiding you and ensuring you feel safe, supported, and heard. We will empower you to take control of your rehabilitation process and get back to living your life. This 14-week treatment program features one-on-one 90-minute physical therapy sessions with a certified PoNS™ Trainer. Built on science and research, PoNS™ Treatment is proven to help people with chronic balance deficits caused by mild to moderate traumatic brain injury (mTBI) as used in conjunction with physical therapy. Following your initial consult visit, a $5,000 down payment will be required to reserve your spot in the program. The full program cost is $30,000 plus applicable taxes; the remaining $25,000 will be required prior to your first treatment visit. Sensory organization testing (SOT) is offered by our clinical team through the NeuroCom® SMART Balance Master. 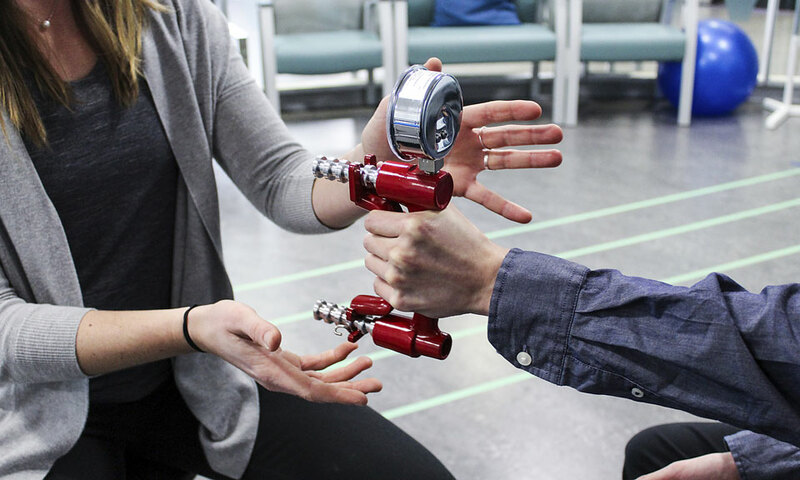 SOT is a form of posturography that is designed to assess and quantify your ability to use visual, vestibular and proprioceptive cues to maintain balance. It has been recommended for use by the American Physical Therapy Association, Neurology Section for individuals with Multiple Sclerosis, Parkinsons, Spinal Cord Injury, Traumatic Brain Injury and Vestibular conditions. Not all balance problems are the same, and the wide variety of symptoms can make it difficult to determine the cause of a balance disorder and which treatment options are the most appropriate. 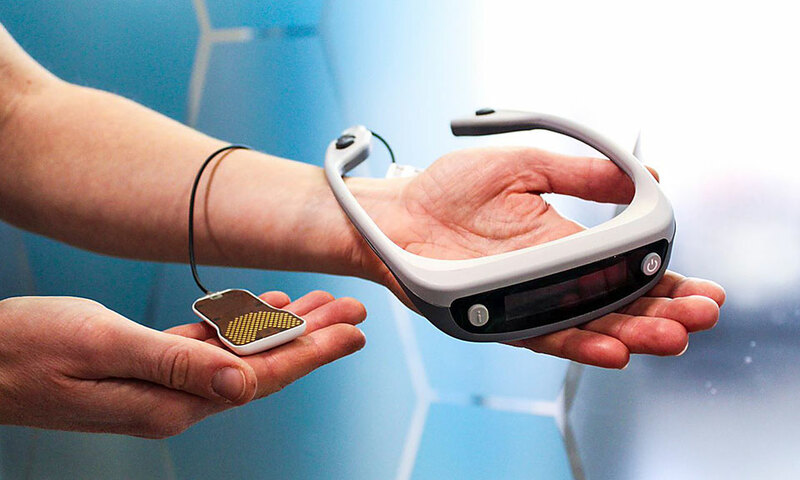 The techniques utilized by the NeuroCom® were initially developed with support from NASA and later from the National Institute of Health. It has been used in worldwide scientific research for decades, and is considered the “Gold Standard” for evaluation of balance impairment. Access to a NeuroCom® SMART Balance Master is limited in British Columbia. We offer the only machine in the Lower Mainland readily available for private scheduling. The results from the NeuroCom® SMART Balance Master are objective and individual; focusing rehabilitation on the right problem and eliminating any guesswork. Learn more about the NeuroCom® SMART Balance Master used in our balance testing. *The raw report provides comprehensive numerical outcomes generated automatically by the machine, and can be given to the client as well as an outside practitioner for interpretation (if applicable). When someone experiences a problem with their vestibular system, they may be dizzy, have vertigo (spins), experience visual disturbances, and/or have poor balance. Research has shown that vestibular rehabilitation can be effective to improve these symptoms. Your therapist will complete an assessment of your vestibular system to help determine the cause of your symptoms. Sometimes, vestibular conditions can be helped after a few sessions of treatment. In other cases, more comprehensive rehabilitation exercises may be required to help retain the vestibular system, or help retrain the brain to learn how to use other senses instead (for example, in cases where part of the vestibular system is lost). Learn more about the vestibular system here. Persistent pain rehabilitation can involve many processes, depending on the type and presentation of your pain. For starters, your therapist will explain your condition to you and help you understand why you feel the way you do. When working with individuals who have persistent pain, we need to take a biopsychosocial approach, meaning we need to look at all factors that may be contributing to your pain presentation. This can include factors such as tissue changes, movement changes, sleep habits, stress, mood, thoughts, fears etc. Finding strategies to help the nervous system calm down, become less sensitive to touch/movement and helping you become more physically active again are key. Your therapist can work with you to help you learn how to manage your pain and get back to doing the things in life that give you meaning. Read more about persistent pain here. Concussion rehabilitation involves looking at multiple processes of the brain and body to understand which factors are contributing to your symptoms. It can involve a variety of therapies including, but not limited to: exercise therapy (for example, to aid in improving blood flow), manual therapy (ongoing symptoms can be associated with the neck, as mechanism of injury may have involved a whiplash), visual and vestibular rehabilitation (can aid in improving balance and reducing symptoms of dizziness, nausea, visual disruptions, memory challenges etc. ), education (learning about your symptoms and understanding how to pace activities) and strategies in relaxation and mindfulness. Read more about concussions here. Physiotherapy is a science-based approach to healthcare lead by practitioners who are dedicated to working with people to maximize their ability to function throughout their life. Physiotherapists take a holistic approach to health and well-being through education, awareness, empowerment and participation in treatment. Our goal is to get you moving again. 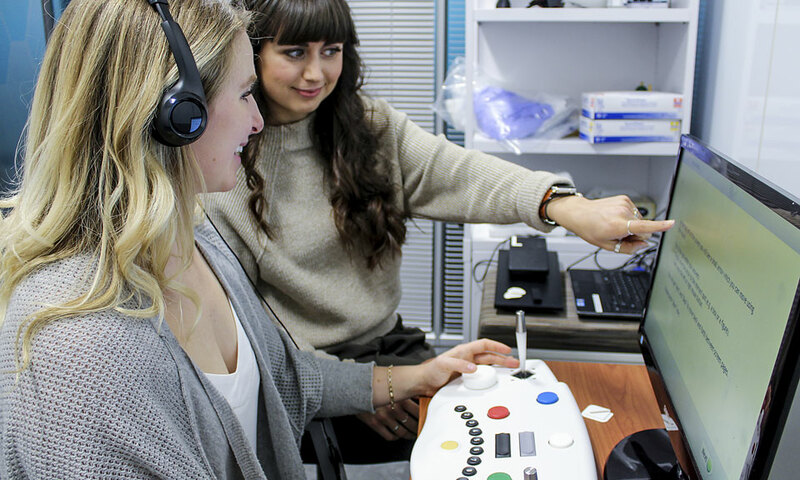 At the Surrey Neuroplasticity Clinic, we focus primarily on individuals with neurological injuries and conditions. Our therapists have completed extra training utilizing NDT (Neurodevelopmental treatment) and Bobath techniques. 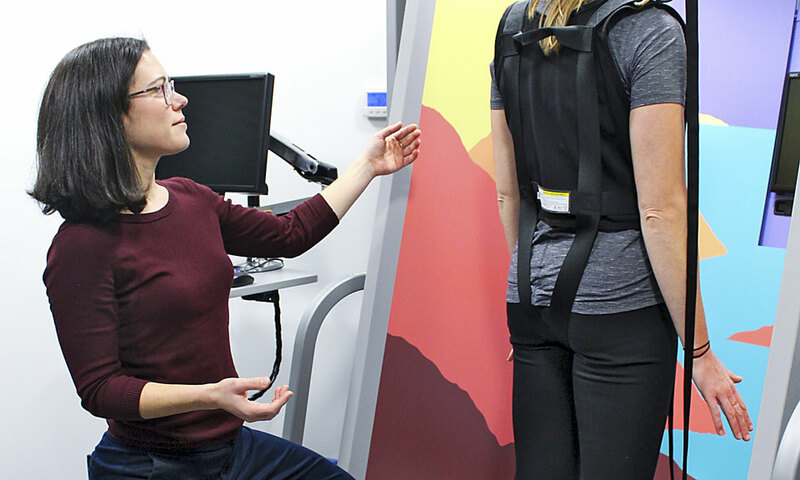 These techniques involve in depth knowledge of human movement patterns and expertise in analyzing postural control, movement and activity. Through therapeutic handling, your therapist will optimize nervous system processing, task performance and skill acquisition to enable participation in meaningful tasks. Occupational Therapy provides services to support clients having difficulty participating in daily activities (e.g. self-care, household management, leisure, work, and school). Occupational Therapists look at a person’s overall function, including components of mental health, cognitive health, functional capacity and energy optimization. Your Occupational Therapist can help teach you strategies to improve cognitive performance, better manage stress, improve sleep and fatigue, live well with a chronic condition, return to work or school, make your home safe and accessible, and engage in relaxation/energy conservation techniques. Kinesiologists use the science of human movement to assist you with injury prevention and rehabilitation. Kinesiologists work closely with your healthcare team to assist you to carry out your rehabilitative program. Kinesiologists specialize in assessments related to injury and disease. 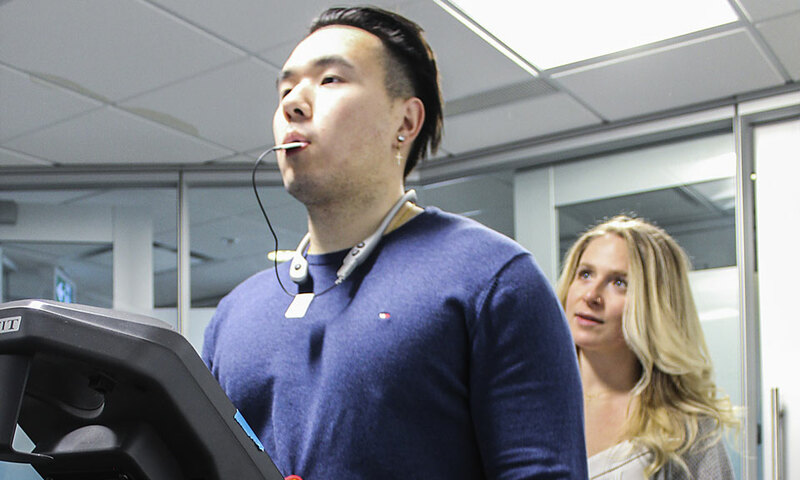 They have the ability to complete functional capacity evaluations in relation to occupational requirements, complete biomechanical analysis and outline an exercise program to improve your overall health and function.